Many product liability cases have a medical malpractice component to them. Certainly, in the mass tort world, the da Vinci robotic surgery claims come to mind. In those cases, patients often blame the manufacturer of the robot and the doctor who performed the operation. The question in these cases is whether jurisdiction for the claim is in state court or federal court, assuming the plaintiff prefers state court as we often do. Plaintiff was prescribed Humira for psoriasis, an annoying skin condition that causes severe itching and even red scales. His claim is that if you have HIV, you are at grave risk for a life threatening infection. He alleges Abbott should have told him and his doctor that the drug does this. He also alleges, partly in the alternative although they are not mutually exclusive, that the doctors at Union Memorial and Annapolis Infection Disease Associates should have known this. Abbott sought to remove the case to a Maryland federal court. I know it sound illogical based on these facts, but these drug companies are desperate to get into federal court. So, they flip every possible stone. This is silly and Judge Ellen Lipton Hollander almost comes out and says so. I have searched the Complaint in vain for the assaults on federal regulations described by the Pharmaceutical Defendants. In the Complaint, Ms. Larson does not question Abbott’s compliance with federal regulations, nor does she challenge the wisdom of those regulations. Although the Complaint alleges that Abbott’s clinical trials “did not include [HIV+] individuals,” id. ¶ 13, it does not allege that the omission of HIV+ patients was contrary to federal law. On diversity, they argued what they always spit out, fraudulent joinder. Actually, technically here the argument was that doctrine’s half-sister, fraudulent misjoinder. 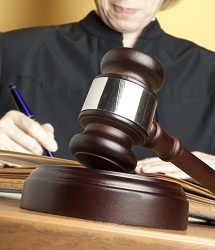 This doctrine has been applied by some but certainly not all courts, when a plaintiff includes claims against some defendants that could be proved but have no real connection to the claims against other defendants in the same action. These claims have to be found to be tossed in just to create diversity. Fortunately, I need not enter this doctrinal thicket. Even if I adopted the fraudulent misjoinder doctrine, despite its flaws, applying it to sever the claims in this case would turn the doctrine entirely on its head. This is a really good opinion. I posted the link above. If you ever have a controversy as to whether state or federal court should have jurisdiction in your case, you should read this opinion.